There are lot of Shopify themes out there, and most of them can be pretty expensive. Luckily, we have compiled a list of the top 5 themes that you can use for any type of store – and best of all, all these themes are free! If you don’t already have a store with Shopify, be sure to take part of our exclusive offer of two weeks free with Shopify – just to try out the platform for yourself! 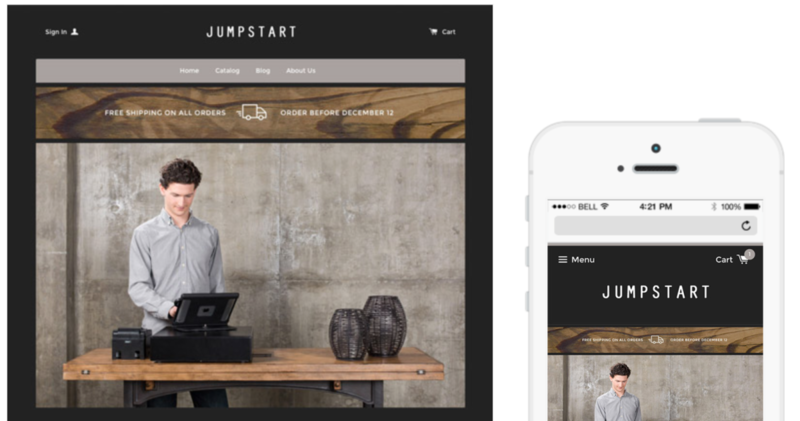 New Standard is minimalistic design supported by Shopify themselves. It comes in three different base styles that can be customized and changed to your liking. This theme is very popular because it can be used to sell a wide variety of products, not just one product category. The theme is also mobile-ready and fully responsive, you can immediately begin to capture sales from mobile devices such as phones and tablets. Another excellent features is the built-in slideshow – where you can feature banners or pictures of products directly from the homepage. Check out the New Standard theme here. 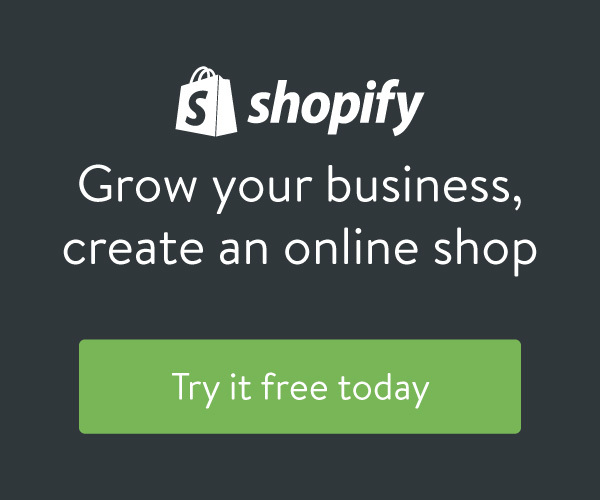 Supply is another free theme from Shopify that is great for businesses with many product categories or a huge inventory of items. The theme enables customers to search via category from the top of the page and then locate the product they are looking for from the drop down menus. In addition, the homepage offers customers the ability to look at items based on top sellers, price, or products that are currently on sale. This theme is recommended towards companies with large inventories, but who still need a clean layout and site design in order to not overwhelm customers with different options. This theme also comes in three different styles, much like the “New Standard” theme mentioned above. Check out the Supply theme here. Solo is a theme that makes use of a large header image that can feature a larger banner or title image – immediately drawing attention to the image itself. The minimalistic design comes in four different styles and can easily be customized for dark or light styled products. The theme supports a re-arrangeable homepage, useful if you need to have sale items at the top of the page or above other elements. As with other Shopify-managed themes, it is fully responsive and will adapt to different screen sizes with ease. Check out the Solo theme here. The React theme is perfect for darker, rustic stores selling antique or custom items which can take use of the wood background. The React theme comes in two styles, but they are very similar in terms of site layout. The only main difference between the two theme styles is that one is light, and one is dark. The store logo is placed very prominently at the top of the page, and is located on a black background, which may be an issue for stores who have a dark logo. Check out the React theme here. The Pop theme from Shopify offers a clean and minimal style to stores that have smaller inventories. The sidebar is handy because it always shows the different types of products available to the customer constantly from the left side of the page. The modern look is perfect for jewelry/clothing stores, and can be adjusted to make room for stores with medium sized inventories as well. It isn’t recommended that stores with large inventory use this theme because of the limited room on the sidebar, but otherwise it’s a great theme for many different purposes. Check out the Pop theme here.